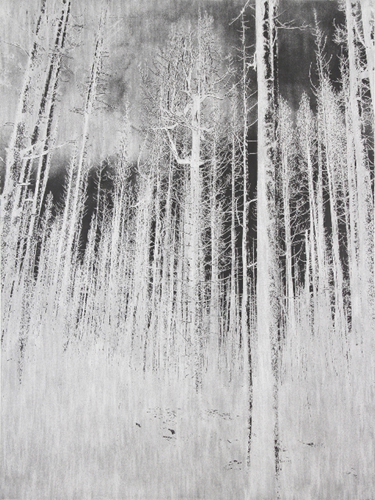 Leafless brings together two artists using disparate approaches to the pictorial representation of trees – a discursive pairing of the visual languages of Baldridge and Butler in anticipation of the autumnal equinox. 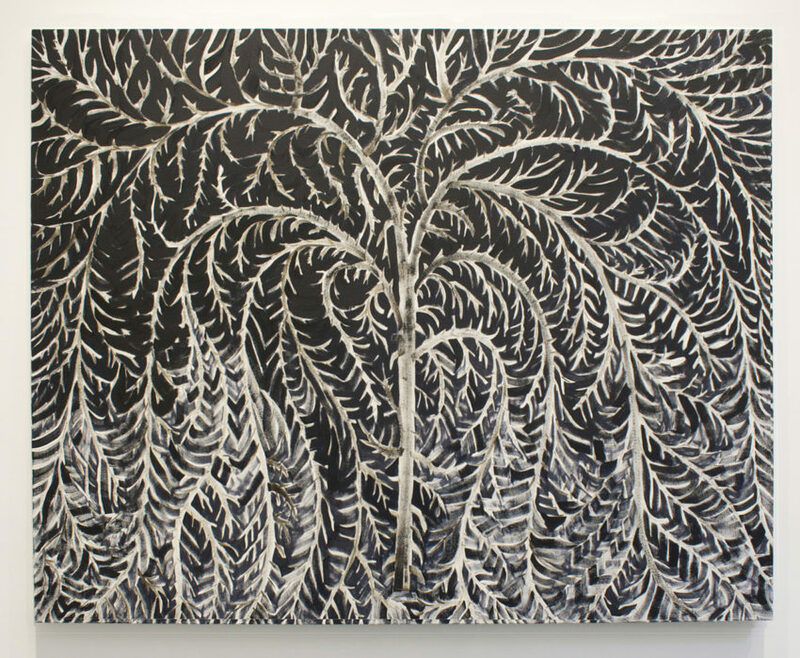 For both artists, the trees serve as an iconographic trope, and permits them a point of embarkation to explore their own particular methodologies of artistic production. 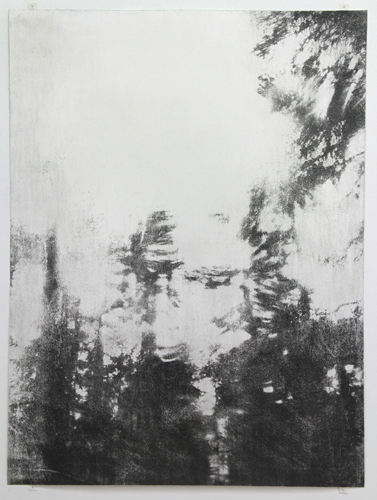 Glen Baldridge, whose background is in printmaking, will present five new large scale drawings that are generated through a technique he developed that involves a hybridization of drawing and silkscreening. 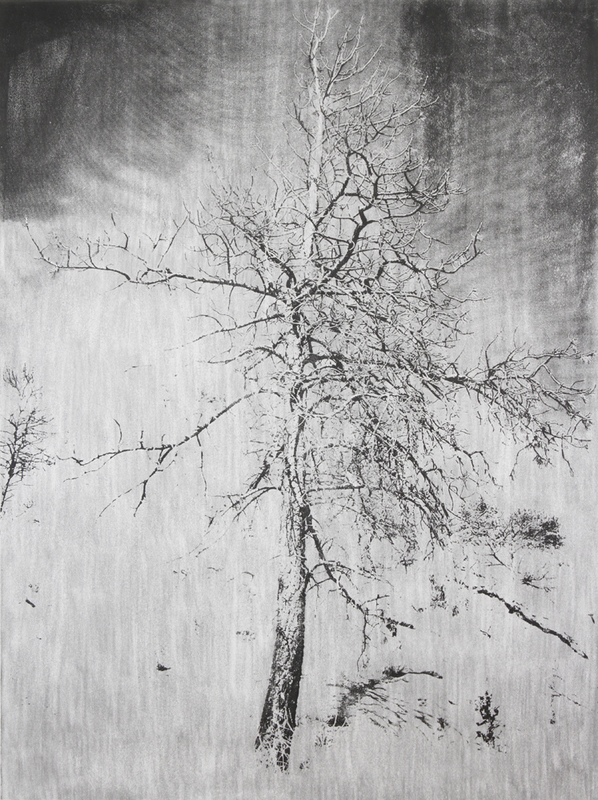 Tree and forest photographic images are silkscreened in a clear acrylic polymer onto paper covered in a black graphite ground. Baldridge then erases away the areas around the image to show the white of the paper. 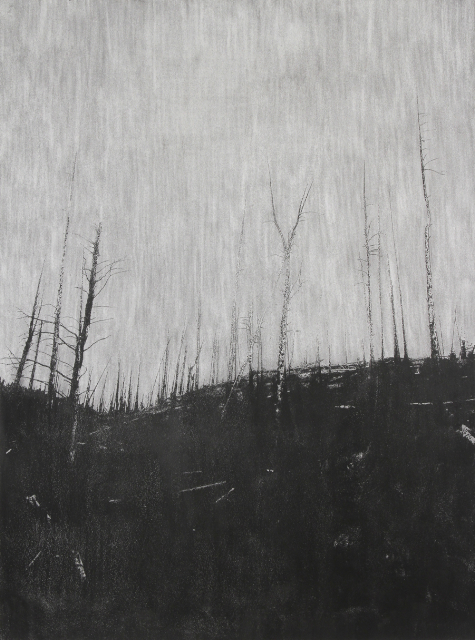 The resulting drawings appear as softened black and white landscape, with the smudged white of the paper standing in for snow, light, and sky in a barren terrain. 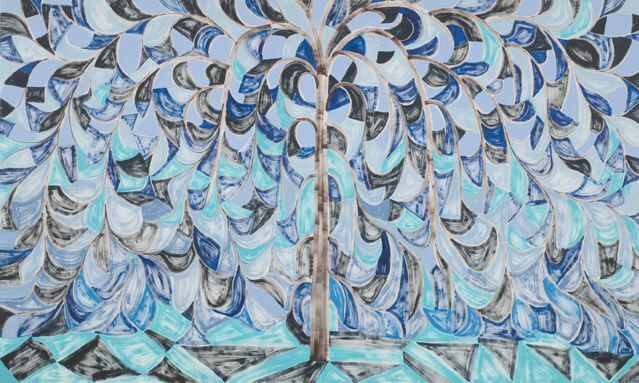 Benjamin Butler approaches the tree as a signifier that allows him to paint a gamut of forms and languages while remaining anchored to a single motif. 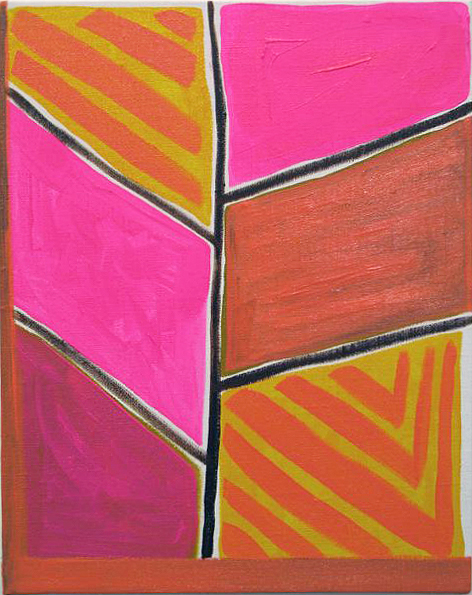 In this way, he is able to maneuver between modernism and post-pop representational painting, while developing a complex language that hearkens back to Milton Avery and Piet Mondrian. 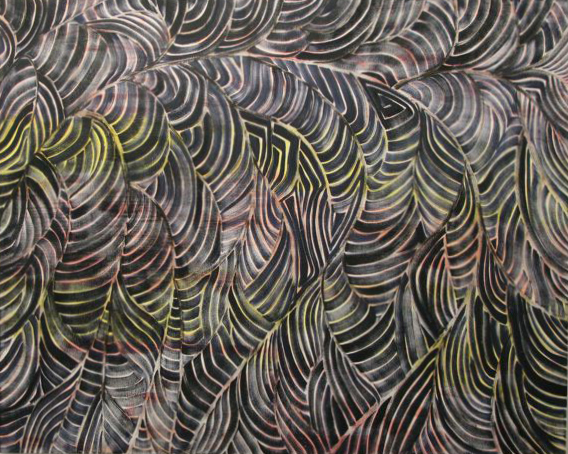 Butler’s trees are pushed in various formal directions that include reducing them to simple fields of color, painting maelstroms of directional brushstrokes invoking swaying limbs, and composing two-dimensional branching systems that fill a canvas whole. Glen Baldridge has had several solo shows with Klaus von Nichtssagend Gallery, and has recently been included in group shows in New York, Los Angeles, and San Francisco. His work is in many public and private collections in the US and abroad including the Museum of Modern Art, the New York Public Library, the Yale University Art Gallery, and the RISD Museum. Benjamin Butler’s most recent solo shows were at Tomio Koyama Gallery (Tokyo-2010) and Galerie Martin Janda (Vienna-2009). He is also represented by Galerie Zink (Berlin/Munich). He has participated in several group and solo exhibitions at such institutions as Team Gallery (NY), Galerie Thaddaeus Ropac (Salzburg), Galerie Lisa Ruyter (Vienna), Greenberg van Doren Gallery (NY), The Nerman Museum (KS), and PS1/MOMA’s Greater New York in 2005. Special Thanks to Kenneth Willardt and Thomas Øvilsen!